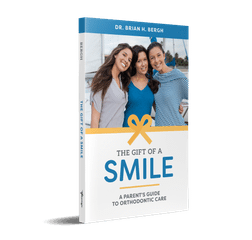 Dr. Brian Bergh is a speaker, teacher, author and orthodontic specialist. Founder of Bergh Orthodontics, his office has been voted Glendale’s Best Orthodontist for the past six years. Bergh Orthodontics believes in giving to the community, and has provided care to hundreds of children from low-income, underinsured families through Glendale Healthy Kids. To ensure that he gives his patients the highest quality care as a Glendale orthodontist, Dr. Bergh believes that continuing education is critical. We are in an age of rapid change, and keeping up with the latest developments and innovations allows Dr. Bergh and his team to provide you with the most current braces and orthodontic treatment available. This is why Dr. Bergh participates in training and courses to continue his education, averaging over 100 hours each year. Your child’s smile is important. Poorly aligned teeth or jaws can affect your child growing up around peers, and even into his or her careers as they age. Significant medical problems, such as chronic migraines, gum disease, and infections can occur due to the lack of a straight smile as well. So, what’s the solution? Where does an orthodontist come into play? Won’t my dentist be enough to solve these problems? There is nothing more joyful than a child’s smile―give them the gift of a smile that they can love forever.